Welcome to the Liberty News Forum - News and Political Discussion Forum. The LNF legal department has been saying Trump was going to fire Mueller since day one. Why would Trump fire Mueller when he is wrapping up his investigation? They have been beating this drum since the "investigation" started.. If muellers report concludes there was no collusion wanna bet the left screams mueller was a plant and needs to be investigated? They had their contingency plan ready ten minutes after Hillary didn't concede. Your HDS* is showing, and it ain't pretty. Apparently Mueller's uncle Clive knows a guy who lives next door to a man who owns a barbershop and that man's father was from Vladivostok. This new guy hasn't been vetted by the senate. There's a legal case against his appointment being worked up as we speak. *ahem* was the Senate in session? I hear it's still in session. "You want the TRUTH? 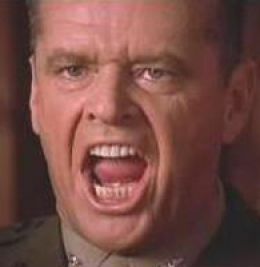 You can't handle THE TRUTH!!"